According to the National Audit Office of China (NAO), 9 provincial capitals in China have a debt ratio of more than 100%, which means that their total liabilities exceed their total assets. In June 2013, The NAO released an audit report on the level of debt in 36 local governments. According to an NAO official, of the 36 regions, 4 provinces and 8 provincial cities have seen their debt rate grow at over 20%. Nine provincial cities have a debt ratio of over 100%, with the highest at 189%. NAO didn't, however, give a list of the cities. Recently, Reuters published an article named Is China's debt nightmare a province called Jiangsu? The article argues that out of China's 31 mainland provinces, Jiangsu may be the most at risk from debt. Local governments in the province accounted for 30 percent of all investment trusts sold in China in 2012. Wuxi alone raised 9.2 billion yuan this way, offering investors in its trusts returns of close to 10 percent, well above bank borrowing rates of around 6 percent. Governments in Jiangsu sold 343 billion yuan in bonds last year through financing companies, three times greater than Guangdong, China's wealthiest province. Will China witness "Detroit Bankruptcy"? Song Li, deputy director of the National Development and Reform Committee's Institute of Economics, said "Detroit Bankruptcy won't happen in China. We are facing financial challenges but not a financial crisis." Based on data analysis, Laohucaijing.com, a Shanghai-based financial date provider, has predicted the top 10 debt-ridden provincial capitals in China. Nanjing is the capital of Jiangsu Province in eastern China and has a prominent place in Chinese history and culture, having been the capital of China on several occasions. 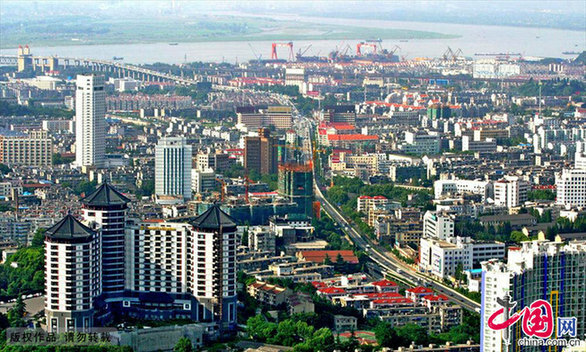 Located in the lower Yangtze River drainage basin and Yangtze River Delta economic zone, Nanjing has long been one of China's most important cities.